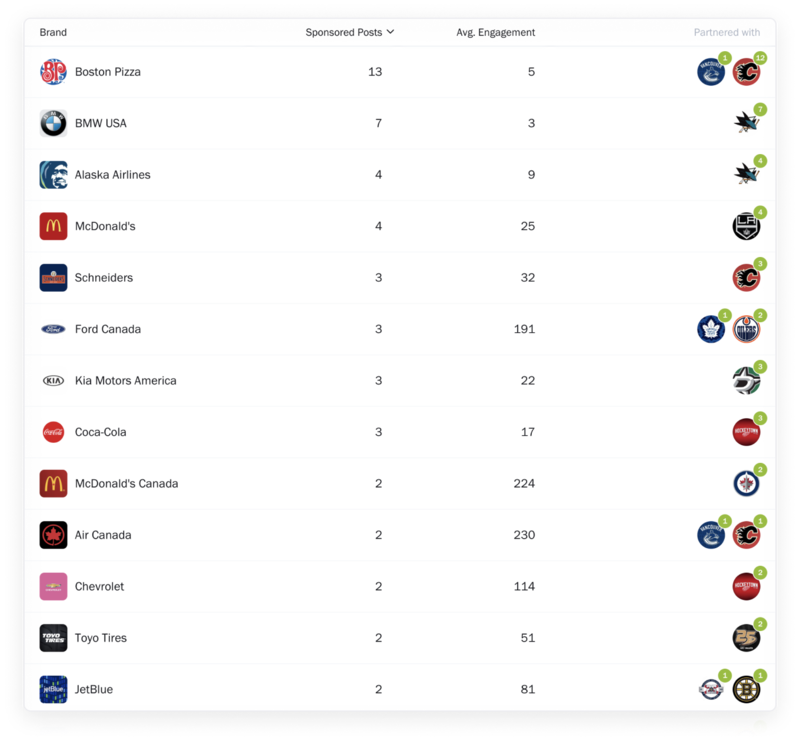 Quickly shortlist potential prospects for activation deals from a list of successful brand partnerships across your league and city. 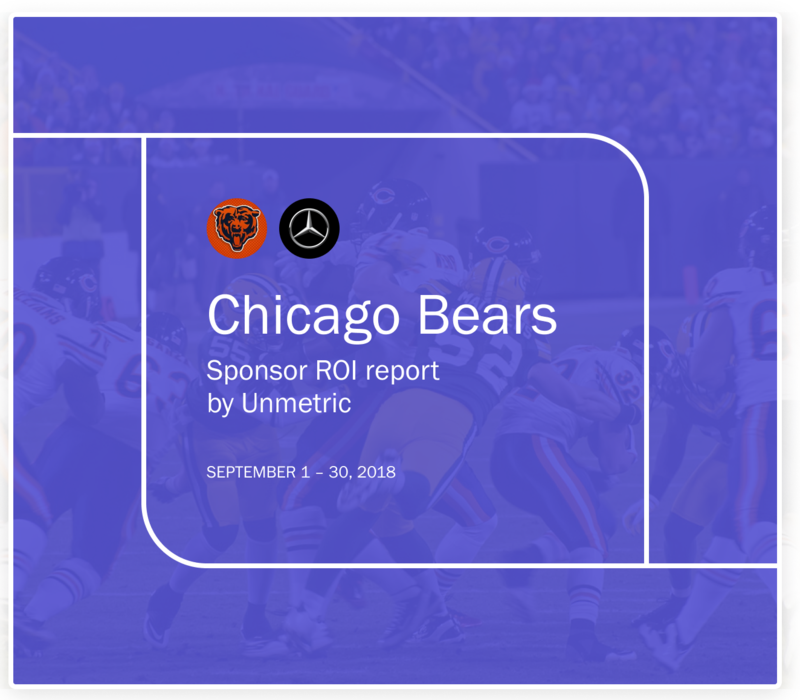 2018 has seen 2,512 brands across 35 industries create 27,109 pieces of sponsored content on Facebook in partnership with 300 teams across 16 leagues. That’s a lot of data to learn from what worked and what didn’t. Explore winning content ideas to include in your pitches by getting a quick insight into the ‘brand DNA’ of a potential sponsor. 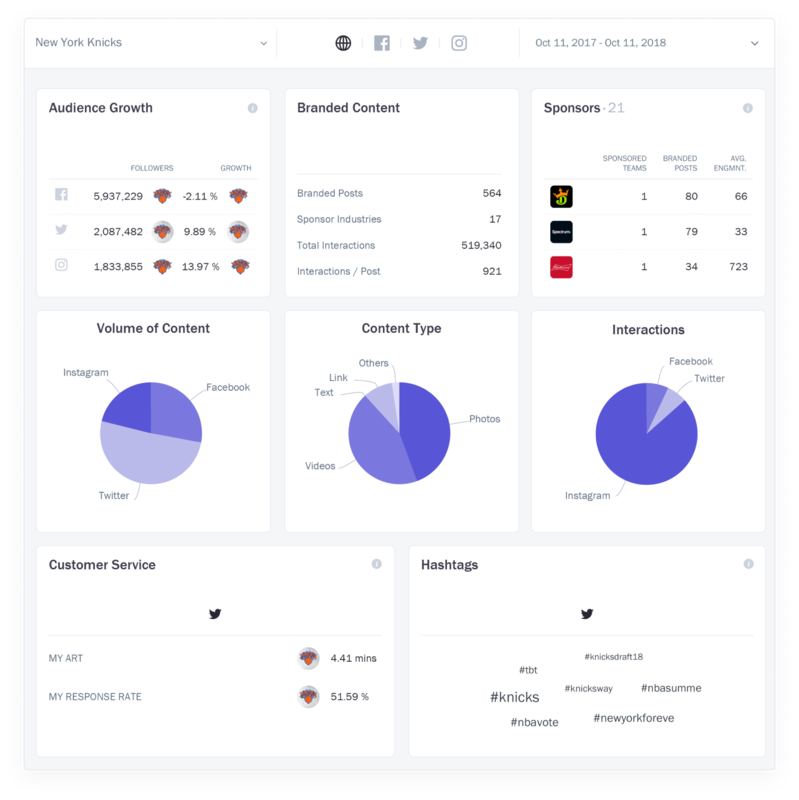 Renew and grow existing brand partnerships by easily showcasing the branded content performance with automated reports that can be downloaded in minutes. 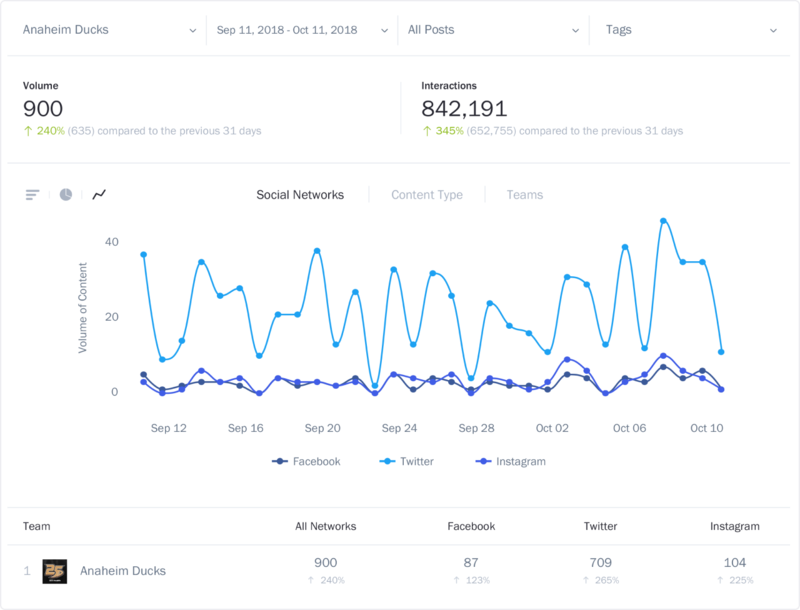 See what worked and what didn’t across social networks. Tag content into thematic buckets to review performance and do more of what works. An insightful word cloud to see what’s trending among the sports teams within your league and city. The analysis includes keywords, hashtags, emojis to help you join the conversation or spot a whitespace. 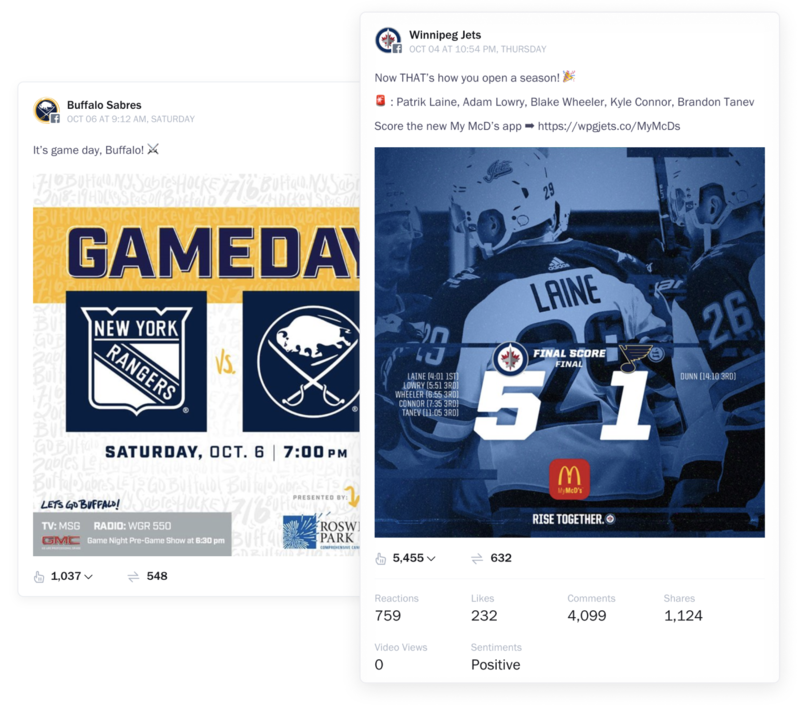 Get the inside scoop on how other sports teams are performing on social. Assess competitor strategy and benchmark performance to see how your content efforts stack up. Pitch winning campaign ideas by getting a quick sense of what a potential sponsor talks about. Keep partnerships alive by showcasing the performance of your sponsored content. 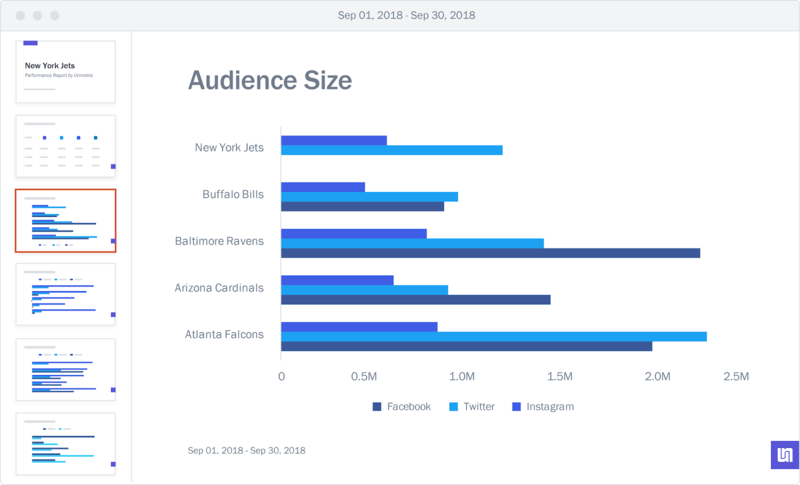 Get an analysis of how a team is performing or compare the social stats of multiple teams. It only takes 20 minutes to find out how Unmetric Sportscan help reshape your social media game plan. Receive notifications about social media research, industry insights & product news, twice a month. Unsubscribe at anytime.